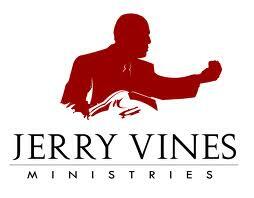 Another "John 3:16 Conference" from Jerry Vines Ministries is scheduled for March 21-22 of this year. I will almost certainly not be able to attend this conference, as my third child is due to be born around that time. A list of the speakers at the upcoming conference may be viewed HERE. 1. For Whose Sins Did Jesus Die? 2. What Did We Inherit From Adam? 3. Does Regeneration Precede Faith? 4. What Were the Early SBC Leaders' Views on Salvation? 5. Who Are the Elect? 6. Is the Sinners' Prayer Biblical? 1. The Good Shepherd laid down His life for His sheep (John 10:11). Christ died as the perfect, infallible payment for the sins of the elect: those who will certainly come to receive all the benefits of Christ's death (cf. Rom 8:30-32; Heb 10:14) . 2. We inherit a radically corrupted nature from Adam, which places us under the wrath of God (cf. Eph 2:3). 3. Yes, regeneration precedes faith (see Eph 2:1-5). 4. The early SBC leaders' views on salvation were Calvinistic (see Dr. Tom Nettles' body of work). 5. The elect are those persons who are foreknown by God, who are predestined to be conformed to the likeness of His Son (cf. Rom 8:29). 6. No, the "Sinners' Prayer," as commonly conceived, is not biblical (show me an example from the Bible of an evangelist leading someone in a scripted prayer).